Tube complement: 6K7 RF, 6A8 mixer/oscillator, 6K7 IF, 6H6 detector, 6F5 1st audio, (2) 6F6 push-pull audio output, 5Z4 rectifier. 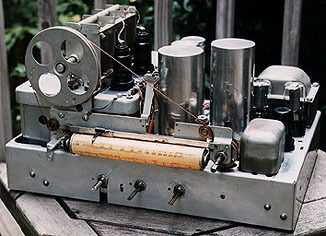 This is the elaborate chassis. 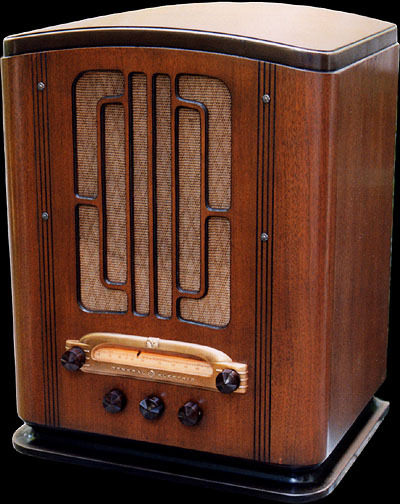 It's unusually clean and free of corrosion, especially for a 1936-vintage radio. 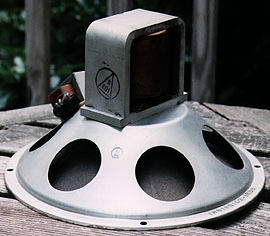 This is the radio's heavy 10-inch speaker, also very clean and near-new looking.